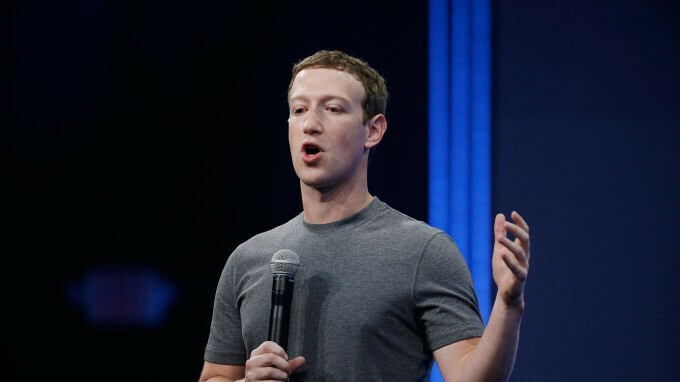 As the fallout from the scandal involving Facebook and Cambridge Analytica continues, Facebook co-founder and CEO Mark Zuckerberg has been invited to testify at a hearing to be held on April 10th by the U.S. Senate Judiciary Committee. The hearing will focus on data privacy and sources inside Facebook say that Zuckerberg will testify. Also receiving invitations to appear at the hearing are Google CEO Sundar Pichai and Twitter CEO Jack Dorsey. Both men might feel the pressure to testify if Zuckerberg agrees to appear. The CEOs who do attend are sure to be grilled relentlessly by committee members. Last week, it was revealed that 50 million Facebook users had personal information used without their permission to create psychological profiles that were used in the 2016 presidential election. The data was supposed to stay in the hands of Russian-American researcher Aleksandr Kogan, but allegedly ended up in the hands of Steve Bannon and Alexander Nix at Cambridge Analytica. The company shrewdly used the information to place ads for candidate Donald Trump with surgical precision. The strategy was obviously successful as Hillary Clinton received 3 million more Popular Votes than Trump did, but the latter won the election thanks to 40,000 well-placed votes. The problem actually has to do with the possibility that Facebook violated a 2011 consent decree it entered into with the Federal Trade Commission. The decree prevented Facebook from sharing information about subscribers without their permission. Yesterday, the FTC confirmed that it is investigating Facebook. Zuckerberg has also decided not to testify before a hearing to be held by the British Parliament. Lawmakers in that country want to know how Cambridge Analytica was able to obtain the information on 50 million Facebook users. Instead, Facebook's chief technology officer Mike Schroepfer, or chief product officer Chris Cox will appear before Parliament’s Digital, Culture, Media and Sport committee. On Sunday, Zuckerberg placed full-page ads in several U.S. and U.K. newspapers apologizing for the data breach, and basically asking consumers to give Facebook another chance. The issue isn’t that Facebook got user’s data that used it and the platforms to login. We all know they use this data. The issue is that they then got the data of millions of others without their consent or them even knowing that their data was being collected because they were friends of someone that opted in. If you're on Facebook then you have consented to your data being collected. If you don't want your data collected then don't create a Facebook account. He's testifying to satisfy the stock holders, not Congress. I expect Congress to ask him not only about Cambridge Analytica BS, but also about Obama and his campaign. And also Hilary's campaign. And what site Facebook was on Brexit. Next should be Google. They both meddle in all elections all over the World, and we know they help the Swamp's agenda. The liberals are eating their own. Between this and Hollywood #metoo liberals taking down other Hollywood liberals, I’m watching with popcorn.